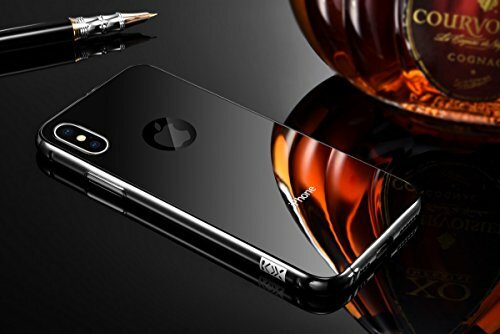 Ringke Fusion MIRROR case for Apple iPhone X / iPhone 10. The Ringke Mirror provides a perfect mix of protection and fashion statement in a single, thin and lightweight case.Ringke Mirror features a clear and polished reflection design to maximize the efficiency of your phone case.Light and slim bumper design allows your device to fit perfectly in any pockets or bags wherever you go.The Ringke Mirror combines special features with quality minimalistic construction for your phone. Polished Prep Finally, a case to shine as bright as you! Sophisticated and glossy PC mirror backside design is tough and allows for a clear and polished reflection. Perfect for both prep and protection, this posh case will ready you for any convenient on-the-go beauty assurance. Ringke Mirror back panel is kept elevated above the surface with innovative backside corners allowing for defense against nicks or scratches without compromising style. Perfectly Form Fitting Designed to perfectly wrap around your device in an evenly dispersed layer of clear protection. Safely maintain the device's sleek profile with the naturally contouring features of Ringke. Enjoy an ideal fit every time as the case fits snug on your device without any loose gaps or edges! [NOTE] Please remove case protective films from both sides (inside and outside) before use. 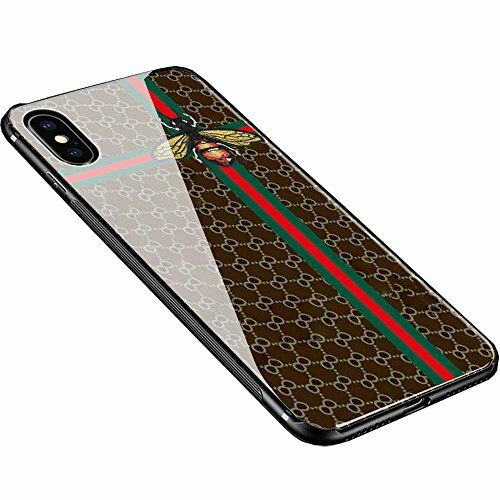 High-end iPhone X case / iPhone 10 Case, Upscale iPhone X case / iPhone 10 cover. 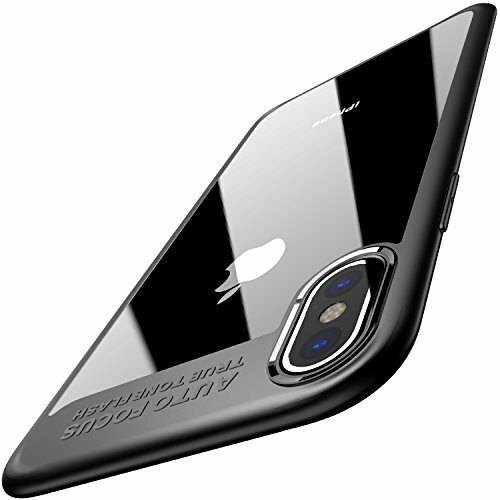 TPU and Tempered Glass Perfect Combination Design-The extremely pure smooth of feeling will make you Fascinated. Delicate pattern,Gorgeous color, excellent texture! illusion out Luxury supreme experience! 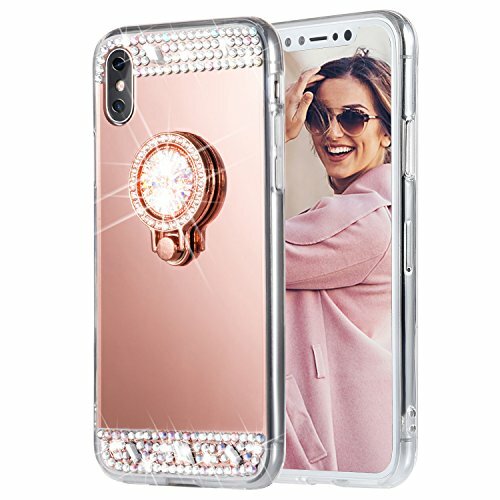 Camera Protection Design - All buttons and camera position are designed accurately, providing the luxurious care and easily accessing all functions without removing the case. Fashion appearance perfectly show your personality out, make you more charming. 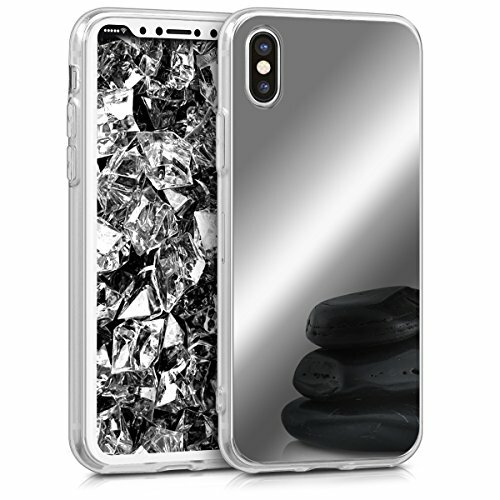 iPhone X Case, iPhone 10 Case, Weiduka TPU + Crystal Steel Tempering Glass Floral Pattern Painted Clear Style Bumper Protective Phone Case for iPhone X Features: - Perfect design make the case Anti-scratch, Anti-slip in case of the accidental drop or shock. - Smart design and Accurate built in buttons are comfortable in hand and prevent holes from dust. - Fashion appearance show your personality out perfectly. - Suit for Apple iPhone X. 1) Style: Bumper Protective Phone Back Case. 2) Material: High Quality steel tempered glass + TPU. 3) Color: As the picture disply. please choose your favorite color. Package included: - 1x Weiduka mobile phone case. (only for mobile phone protective case, does not include the phone) - 1x package box. Lifetime Worry-Free Warranty LIFETIME WARRANTY - from Our shop to ensure the maximun life of your iPhone. if you have any more questions Please feel free to contact us directly. 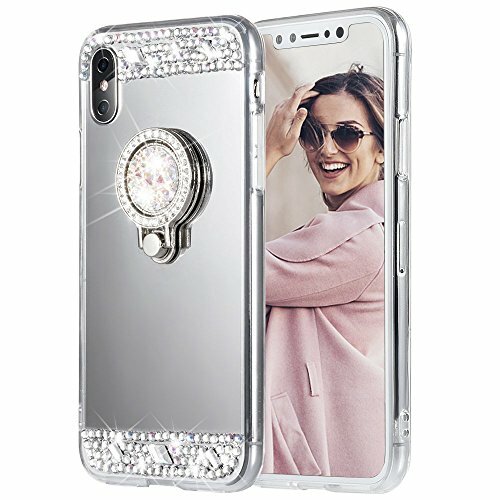 iPhone X Rhinestone Series TPU Bumper Glitter Case Package: iPhone X Glitter Case * 1 Features: ◆Thin but flexible TPU keeps your phone lightweight and scratch resistant ◆Flexibility and simplicity of the design keeps installation/removal easy ◆Reinforced buttons to promise quick responsiveness ◆Bling back The back for iPhone X is inlaid with artificial rhinestone diamond, suits for teen, girls and women. ◆Diamond Ring Kickstand Diamond ring kickstand enviable hands-free and enhances your viewing experience. ◆360 degree kickstand Comfort from any angles, allow you to play games, watch videos, movies, display pictures, ect. Tips: 1.Come with a neck lanyard as gift. 2.The diamond will fall if the case affected by the violence. 3.The Edge of this case is higher than the phone surface, Keep your screen protected with front raised edges that protect your screen when placed face down and wraparound shock resistant bumpers that protect against sudden drops and falls. Warranty: 365 days Caka Guarantee Warranty with Amazon 30 days Full Refund Guarantee. Please feel free to contact us we will response in 24 huors. Let your iPhone X looks more beautiful,excellent and attractive especially under light. You will be the focus of the crowd.Hope you can love it. COVENIENT Design: With the practical VIEWING design, keep everything in sight and TOUCH directly without open the case. Take calls WITHOUT OPENING the case! ELETRONICPLATING Technology: Can be used as a MIRROR. Designed for customer who loves the quality and value. Make no compromises and protect your phone with this high quality LUXURY Case. EFFECTIVELY Protection: Made from the HIGHEST QUALITY materials to ensure STRENGTH and LONGER LASTING protection from everyday use. This flip cover promises MAXIMUM PROTECTION for your phone without quality compromising in style! ACCURATE HOLE SITES: The cases are precisely milled using a CNC machine. 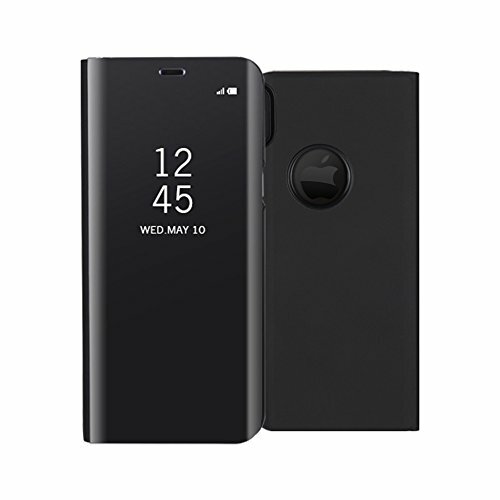 Convenient port cut-outs and handy button covers allow for easy access to all of your smartphones features, buttons and ports; including but not limited to the camera, volume controls, power button and battery charger. WHO IS THE FAIREST OF THEM ALL? : you, of course! Specially with this mirror phone case from kwmobile. 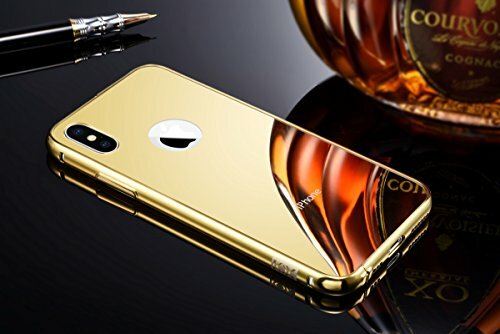 The mirror case will make your phone shine! Very practical: use this case as a make-up mirror, to take a detective look or just to look stylish. TRY REAL COZINESS: The soft and flexible material of the protective cover feels comfortable in your hand and has a good grip. The back side is made of a stronger material and together with the mirror provides a real experience for your fingertips. Besides, its durable material protects from dirt and signs of wear. IT COULDN'T BE ANY EASIER: The highly flexible TPU material of the case envelops your phone in just a few moments and can also be easily removed again. SAFETY FIRST: Apart from the special appearance that this case provides to your Smartphone, it also has a non-slip function, it's dirt-repellent, tear resistant and protects your phone from any signs of wear. WIRELESS CHARGING: Wireless Charging? Yes, we can. You can also charge your iPhone 10 with no hassle without cables. This cover supports wireless charging on Qi standard models. Perfect Fit : Specially designed for Apple iPhone X (2017 Release) 5.8 inch. Clear View : When phone screen lit, you can see the information through cover without having to open your case. 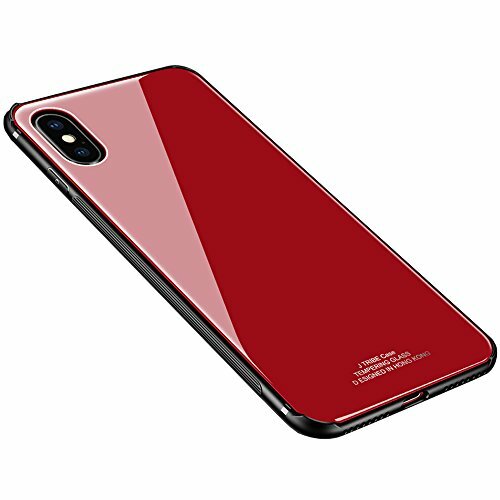 Shinetop Mirror Case Series - Luxury Electroplate Plating Smart Clear View Window Flip cover For iPhone X. 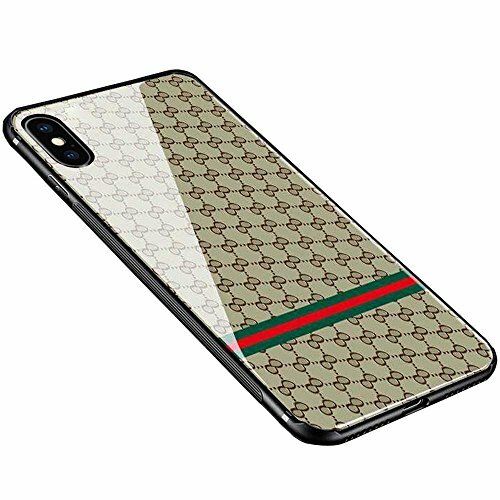 Products Features: Fashion Design Elaborately fashion mirror design,makes your phone look special and gorgeous. You can use it to makeup everywhere. High Quality Made of Premium Synthetic Leather and Plating PC for long term durability. Perfect Fit The cases are precisely milled using a CNC machine,can perfectly fit for your phone while leaving access to all charging ports,buttons,camera and speakers. Superior Protection The case prevent damages from every angle,provide long-lasting protection from potential scratches and scrapes. Compatible Model : ONLY For Apple iPhone X (2017 Release) 5.8 inch. 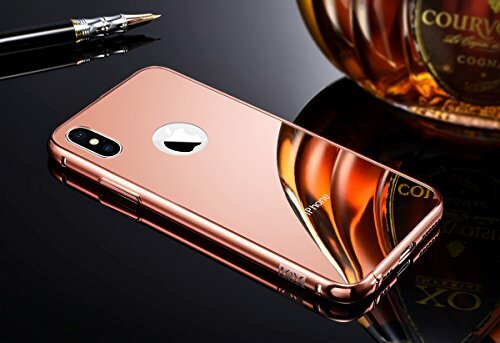 Package include: 1 x Mirror case (cell phone not included) Friendly Tips : We are committed to give our customers an excellent shopping experience.If you have any question about our products or service, just contact us, we will be always here for you. Thanks! COMPATIBLE MODE: ONLY For Apple iPhone X /10 5.8 inch(2017).Gift box packing with FREE SCREEN PROTECTOR as gift. Refer to the PICTURE 6th the easy way to open & take off the iphone X case. 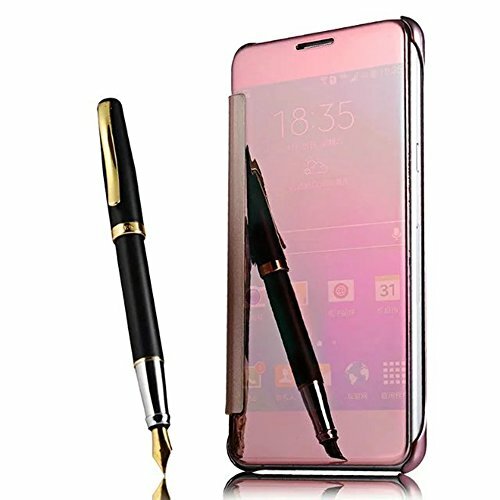 PROTECTS Feature:made of high quality hard PC material with soft silicone coated on surface of case provided the good grip against slip,as well protect the phone against scratches,dust and other damages. 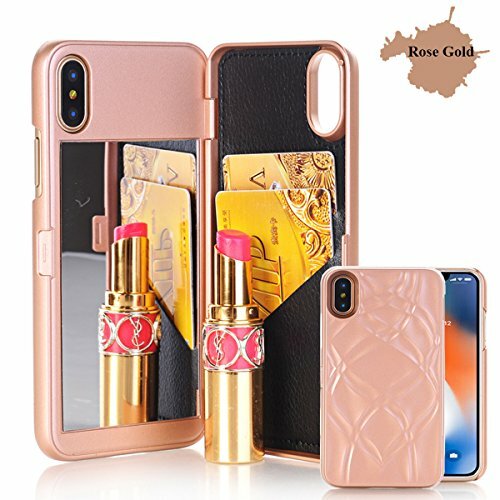 New fasional design multifunctional case with mirror & card holder& kickstand for Apple iphone X make you stand out in the crowd.Gift Box Packing Included: 1* Apple Iphone X mirror case 1*Apple Iphone X screen protector Product Features: 1.Cosmetic Mirror inside Design : speciallly for girl, you can make up on various occasions, applying lipstick, combing hair and dressing yourself, just to keep the best condition.you could make up anytime and anywhere. 2.Card Holster : Two separate card Holder for you to carry your important cards &cash3.Kickstand function: is convenient for movie-watching ,video-chatting or browse the Web, and let you enjoy life's pleasure anytime and anywhere.Warming TipsThe mirror case is made of durable hard Pc, therefore it will be a little tight to take off the case at first.Kindly refer to the picture 6 there is a easily way to take it off.If you still didn't know how to take off,kindly feel free to contact us and we will give you the best solution.PaILeDou provides 100% satisfaction product to our customers, provides money back guarantee. 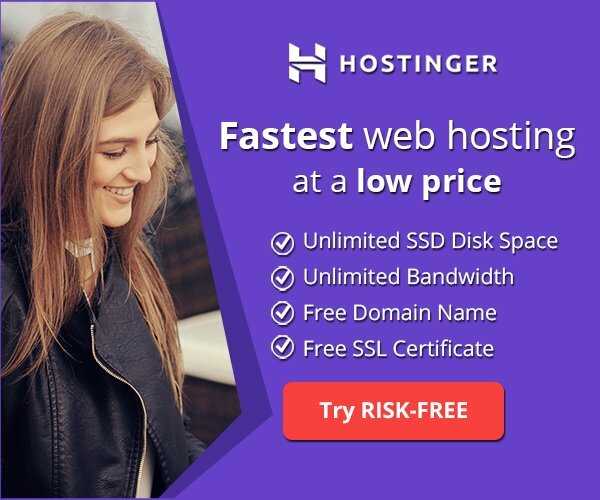 If there is any issue with the product, please feel free to email us. We take full ownership and responsibility for the quality of our products and will do our very best to solve your problem quickly and efficiently! 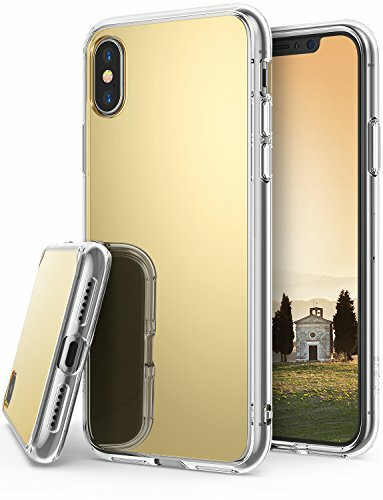 Perfect Fit : Specially designed for Apple iPhone X / iPhone 10 (2017) 5.8 inch. Shinetop Mirror Case Series - Luxury Electroplate Plating Smart Clear View Window Flip cover For iPhone X (2017). 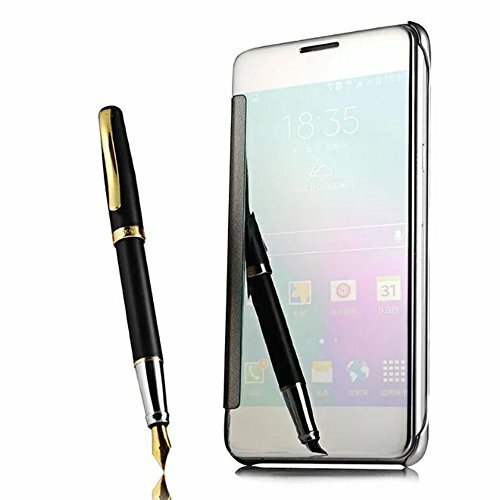 Products Features: Fashion Design Elaborately fashion mirror design,makes your phone look special and gorgeous. You can use it to makeup everywhere. High Quality Made of Premium Synthetic Leather and Plating PC for long term durability. Smart Wake Up/Sleep Function Simply open the case and your device will wake up,close the case then your device goes back to sleep.DON'T support quick call. Slim Thin & Lightweight Made of organic material, the whole case looks slim and wraps snugly around your phone, without adding much weight. 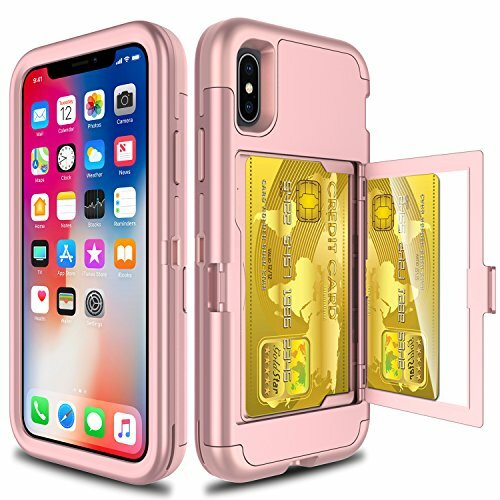 360 Degree Full Body Protection Both front and back sides with 360 degree full body protective phone case,effectively protects your phone against dust, dirt, bump and scratches. Compatible Model : ONLY For Apple iPhone X / iPhone 10 (2017) 5.8 inch. 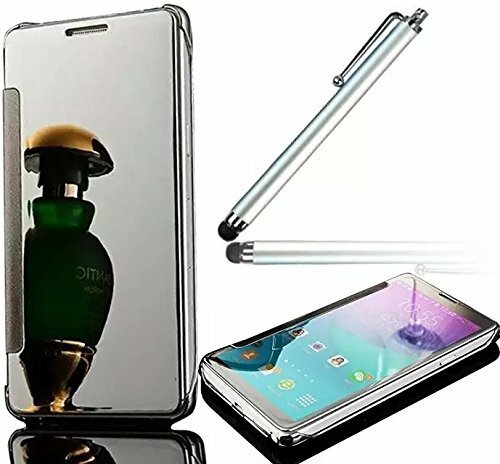 Package include: 1 x Mirror case (cell phone not included) Friendly Tips : We are committed to give our customers an excellent shopping experience.If you have any question about our products or service, just contact us, we will be always here for you. Thanks!